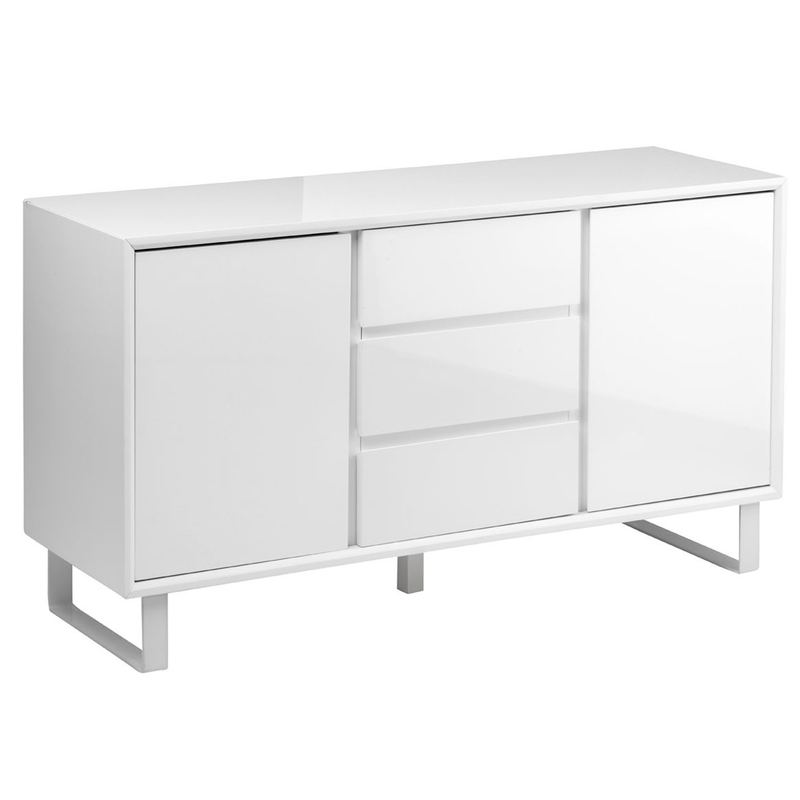 Make your home feel a lot more complete by introducing this beautiful White Sideboard. It has a stunning design which initially looks very simplistic, but at a further glance you can see the tremendous amount of detail that went into this piece. This sideboard is created from a lovely combination of High Gloss, Iron With Vinyl Coating and MDF.